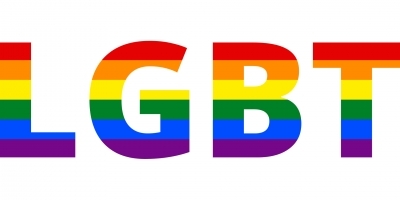 Jakarta, Feb 13 (IANS) Popular social network Instagram on Wednesday suspended an account which published comics discussing the problems and acceptance issues faced by the Muslim LGBT community in Indonesia. The move came after the government asked the social network to remove the gay-friendly account that allegedly published cartoons containing pornographic material and riling many in the country - home to the world's largest Muslim population. The Ministry of Information and Communication alleged in a statement that the account, run by a user known only as @Alpantuni, violated the Electronic Information and Transactions Law by distributing content that "breached decency", according to Efe news. The Ministry thanked users for their complaints which "accelerated the process" against the handle. Instagram took the decision after Communication Minister Rudiantara on Monday threatened to shut down the platform in the country unless the company took steps to fulfil the Ministry's demand. Homosexuality is legal across Indonesia - except for in Sharia law-ruled Aceh province - and though the LGBT community has yet to meet acceptance, it had been tolerated in the past. To "safeguard" moral norms on the Internet, the Ministry of Communication has also threatened to shut down other social networks and messaging apps in recent years apart from blocking hundreds of webpages and apps carrying content that promotes homosexuality. Nearly 88 per cent of Indonesia's over 260 million people are Muslims and the majority of them are said to be moderates.